...Your cabin in the woods awaits. Everything you need to get out of the hustle and bustle and get back to nature. 16.25 acres made up of 3 parcels to explore and enjoy including 2 year-round creeks, meadows, mountains and the serenity of the forest. Further exploration can be yours on the bordering USFS lands that border 3 sides. The 1/1 cabin is quaint and cozy with wood floors, vintage cook stove, claw foot tub, antique windows, and a spiral staircase that leads to a sleeping loft. Time on the deck listening to the creek will relax and rejuvenate. After working in the garden clean up in the outdoor shower. The extra large workshop gives ample space for working on projects and storing your toys. With Salt Creek and Cold Creek running through the property, a drilled well and multiple storage tanks" water abounds! 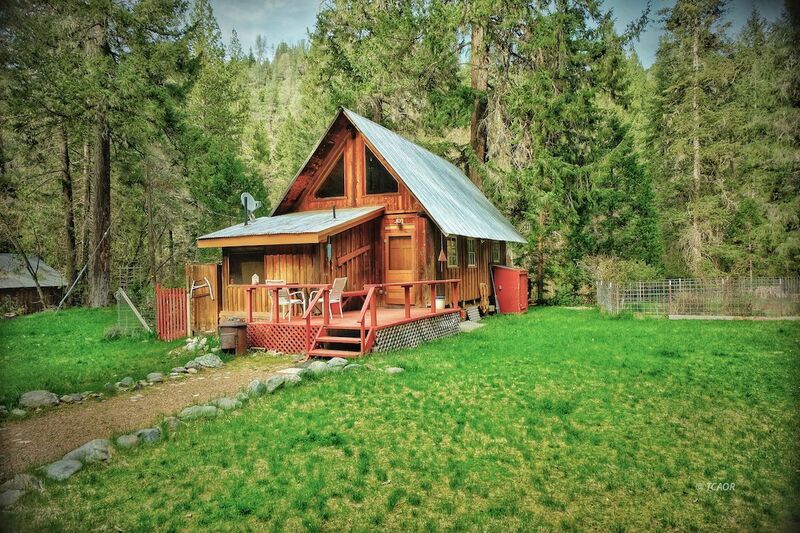 Additional buildings include a sauna by the creek, sleeping cabin, woodshed and an additional cabin across the creek. THIS PROPERTY IS ZONED AG! Retreat to Trinity County today!